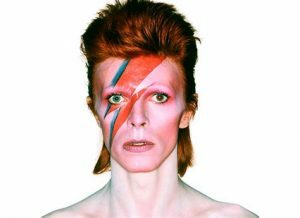 What Personality Type is David Bowie? Find out Angelina Bennet's thoughts on Bowie's Type and how his personality developed through his life. What Type is Bowie? Ch..ch..changes.. Type Pro is world-class personality Type training, designed by top Type experts - Angelina Bennet and Gareth English - with the goal of providing the highest quality training to people all over the world. This is the most flexible Type training available, designed to fit around busy professional schedules and global teams. The British Association for Psychological Type Conference is nearly here! As always, a fantastic array of speakers. Check out the Conference Program. iPotential's Angelina Bennet is presenting 'The Wisdom of Type''. What is wisdom? And how does wisdom show up in Type? Do your employees work in safety-critical environments? How useful would it be have a pro-active approach to risk management and safe working? RADAR is a new 'hot off the shelf' assessment tool specifically designed to assess and advise hands-on workers in roles where safety is paramount.